This is a sponsored conversation written by me on behalf of Cricut. The opinions and text are all mine. This post contains affiliate links for your convenience, which means I receive a small financial compensation if you make a purchase using this link. You can read more about affiliate links here. 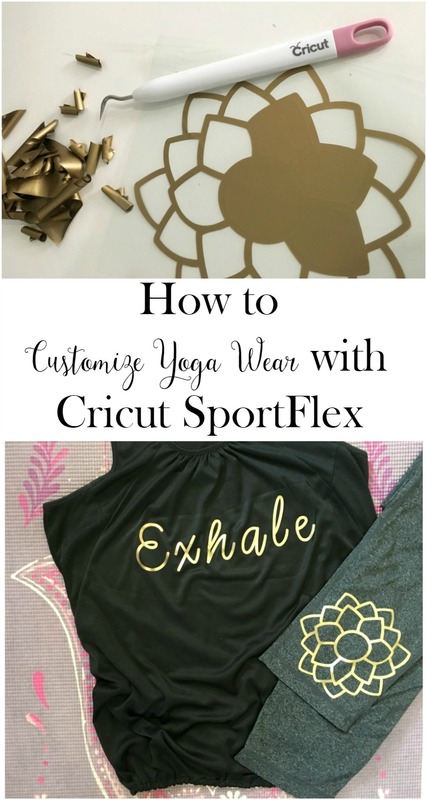 If you have been following me for a while, you guys know I love making custom workout tees using my Cricut and iron on vinyl. I have made several for myself and my friends at the Y. 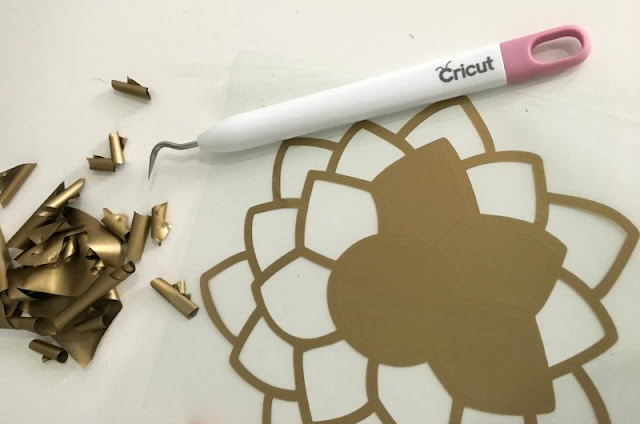 Have you heard about Cricut's new SportFlex Iron On™ that is lightweight and stretches? 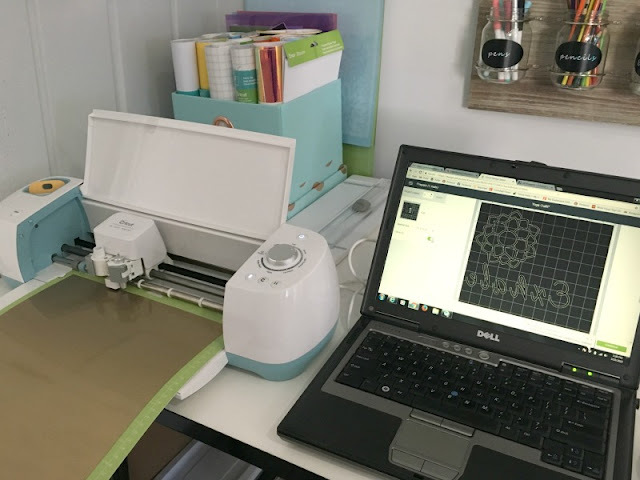 It is made for fabrics like nylon and polyester and features the Cricut StrongBond™ Guarantee. I was stoked when I found out I was getting the chance to try it! 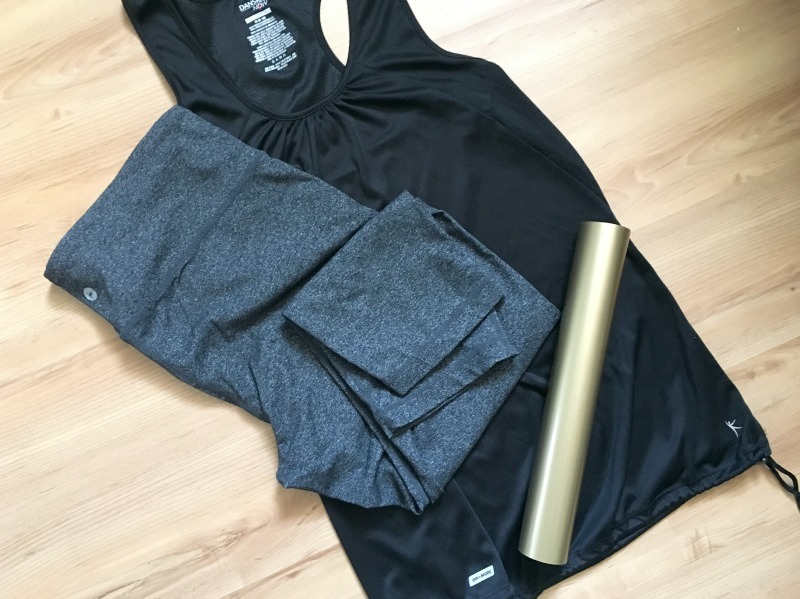 Let me tell you, it is perfect for dryfit material and leggings; it really does give and stretch with the fabric. It also comes in a ton of colors, including this gorgeous gold matte! 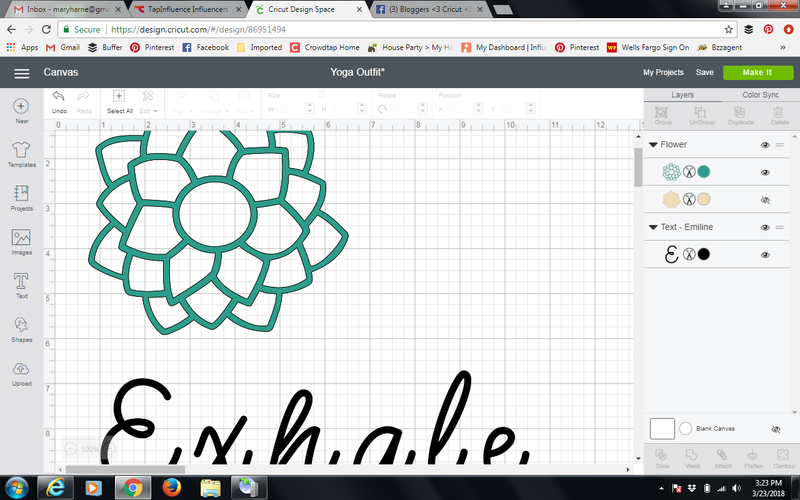 Open the Cricut Design Space and use my Yoga Wear project to get started. You can either choose to Make It Now or Customize if you want to change the size or font. I created the word "Exhale" and found a flower image that was free with Cricut Access. I sized both designs to fit the area on my tank and leggings. Place the SportFlex iron on shiny side down on the standard or strong grip mat. Make sure to select the "Mirror" button on the cut screen and "Iron On" on the material dial on the machine. Load the mat and press the blinking "C" to start the cut. Once the cut has completed, unload the mat and remove the iron on from the mat. Weed out the extra vinyl, leaving the design. Set the temperature on your iron to the material you are using and let it heat up. I did not use a cloth between the iron and the iron on liner and the transfer worked perfectly. 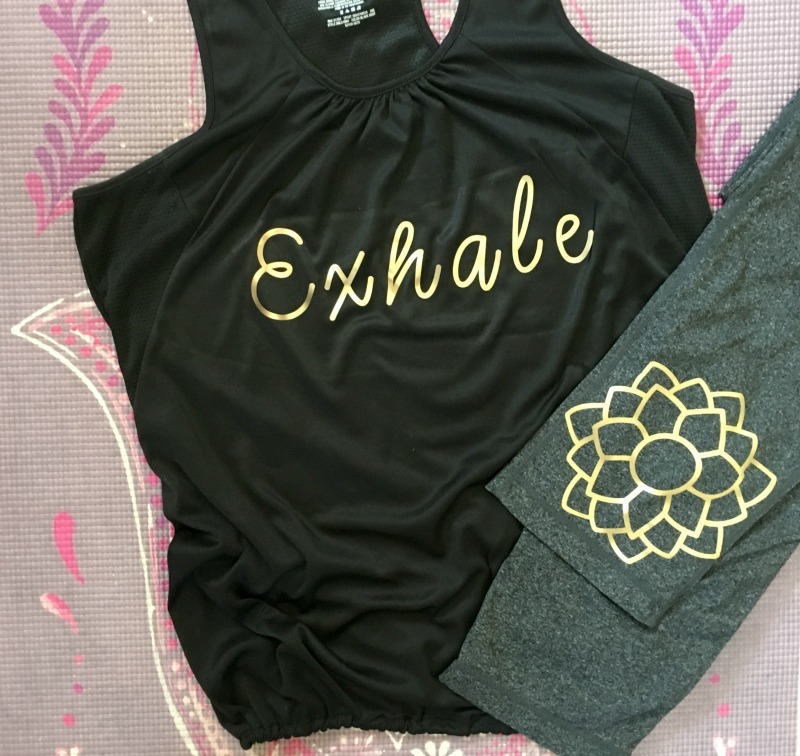 Within minutes, I had a custom yoga outfit that no one else in my group exercise class will be wearing! 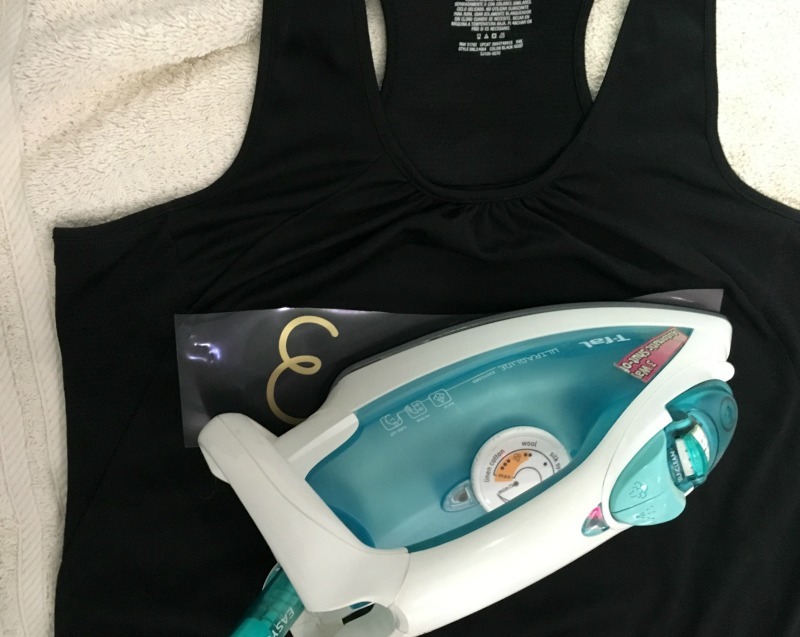 You can use the SportFlex Iron On™ on everything from workout wear, yoga mats, to swimwear! What would you use this new product on? 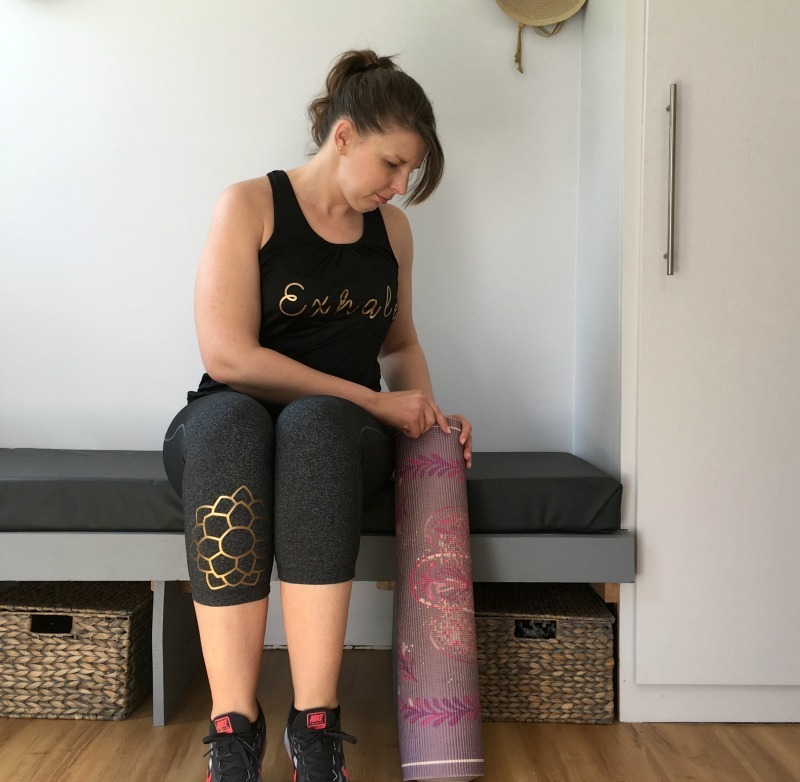 OMGosh these yoga pants are FANTASTIC!!!! Love that you used gold metallic. The gold is the perfect color...not too shiny! I am already plotting my next pair! You've been getting a lot of workouts in, you go girl! 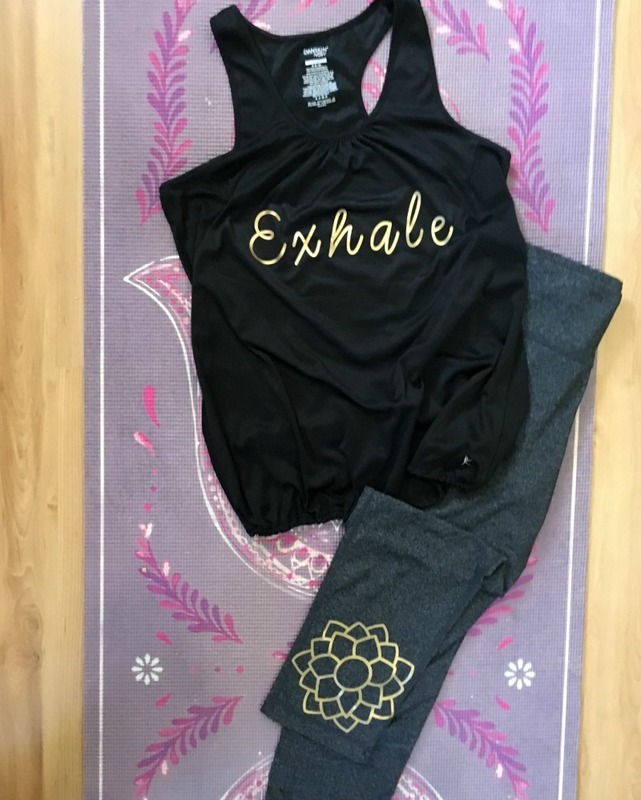 :) I would have never thought to make my own workout clothes with statements and designs on them with my Silhouette, but what a terrific idea! Carrie, you should totally do this! It is so easy and fun!